Two teardrops were floating down the river. One drop said to the other, Who are you? 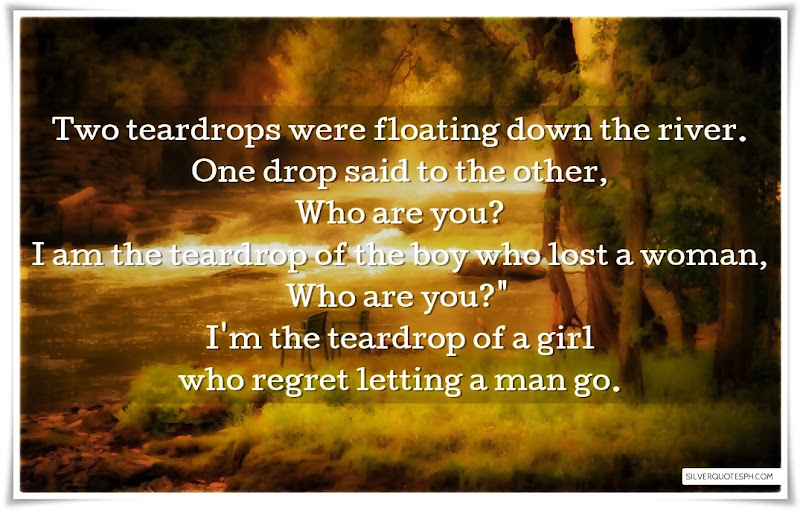 I am the teardrop of the boy who lost a woman, Who are you?" I'm the teardrop of a girl who regret letting a man go.